We’re still weeks from the “official” Black Friday shopping period, but that doesn’t mean you can’t save on a great array of items right now. Here are the must-buys that are available right now. Amazon always loves to come early to the party with their own unique sales offerings, and, this year, Black Friday for the world’s largest retailer kicked off on November 1, with daily specials across the site. 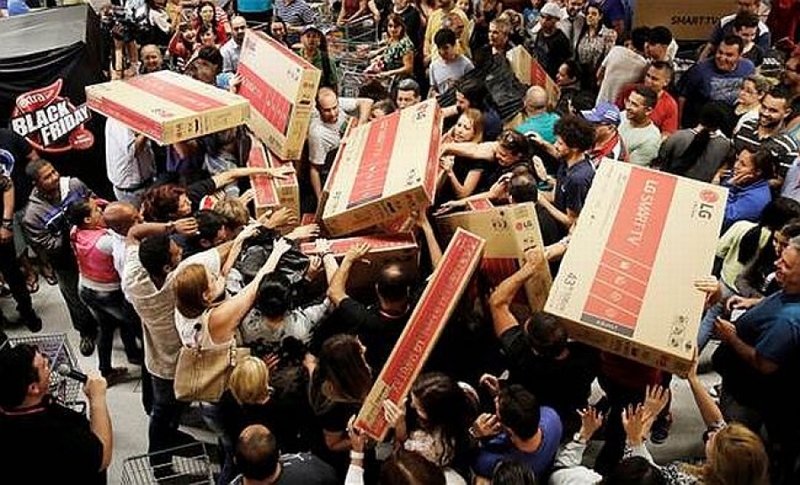 Their “Countdown to Black Friday” offers a slew of deals. More than 70% off teeth whitening kits. More than 50% off universal smart home remotes, like the Logitech Harmony Ultimate Remote. More than 50% off a smart Bluetooth-enabled body fat scale. Check back daily for new specials. Buy 2, Get 1 Free Board and Video Games. Free Xbox One Game – up to $59.99 – when you buy any Xbox One S Console. 20% off Xbox One Wireless Controllers – Target Cartwheel Deal. 25% off PlayStation VR Core for PS4 – Target Cartwheel Deal. The Samsung 55″ Class FHD (1080P) Smart LED TV for $597.99, regularly priced at $1599.99. The Dyson DC33 Multifloor Bagless Upright Vacuum for $199, down from $279. The Braun Series 7 790cc-4 Foil Electric Shaver with Clean & Charge Station, $176 from $269.97. The Dyson DC34 Bagless Cordless Hand Vacuum for $99, regularly priced at $169. The GE 4.6 cu. ft. ENERGY STAR Top Load Washer in White for $499. That’s a savings of $200. $300 Savings on the Whirlpool Stainless Steel Electric Range with Convection, now $498. The popular 25.5 cu. ft. French Door Refrigerator in Stainless Steel – $998 from Home Depot – a savings of $776!